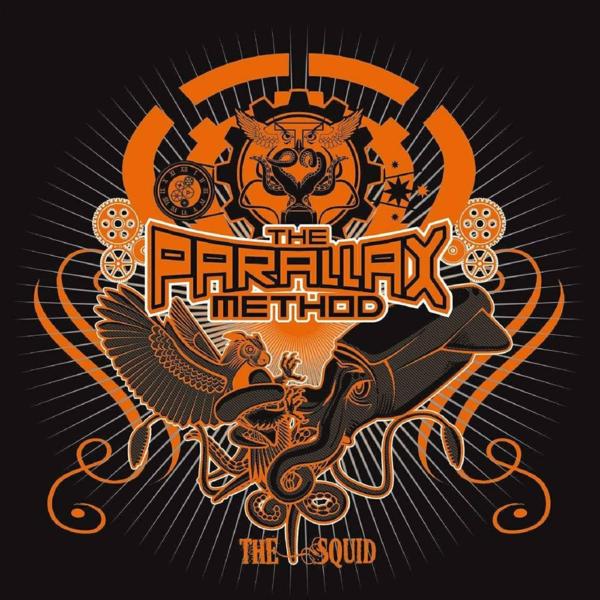 We like to keep things varied with our Band of the Day feature so today, we’re bringing you an instrumental act in the form of The Parallax Method – with added input from a rocket scientist! We are from Nottinghamshire / Derbyshire. We known each other for a long time. Danny and Dave were previously in a band called Isolysis together. Ben played bass for the band Spirytus and Danny filled in for Spirytus when they were between guitarists. How long have you been playing together as a band? As The Parallax Method, we have been playing for about 4 years. Where does the name of the band come from? Our manager’s sister, Dr Claire Parfitt is an actual real life rocket scientist and helped us research some cool scientific terms, she picked the name. What are your influences – individually or as a band? Isis. The list goes on. We see our music as different movements based around one evolving composition. Being instrumental we have no boundaries and focus on how diverse we can make the music. We start at A and end at Z within a single track but aim to make each track flow through seamlessly but as diversely as possible. We rely on melody, carefully sculpted tones and grooves. Our main aim is working as a team. We aren’t a lead guitarist with a backing band. We’ve played quite a few cool shows. When we started jamming together as a band we never intended to take it out of the rehearsal rooms, it was just three mates jamming music they love together. We got offered a show and thought we’d tried it out. Instrumental prog is obviously a niche genre, so we didn’t expect such a positive reception from people to be honest. Bloodstock sticks out as the most surprising reaction. We didn’t think that it would be received all that well at such a traditionally metal festival, but the crowd really dug it, the feedback we got blew us away. We are generally quite well behaved in all honesty. We enjoy fine foods and in depth discussions of tone! As a rule we try to relax and have a right good laugh. Rock n roll, eh? Drums – Mapex, Meinl symbols, Evans drumheads, Vater sticks. We are promoting our new video for the track – “You Gotta Be Squiddin’ Me!” out in a couple of months. We have a couple of summer shows coming up but generally the rest of the year and the beginning of 2019 is dedicated to writing our album. We have released 2 EPs so essentially this will be our debut album. It’s well underway but we record and mix it ourselves so it’s a lengthy process. A tough one! Steven Wilson as the headline act. To open we would have to choose Arch Echo. We just saw them at Tech Fest and they blew us away. Although let’s be real…we would more than likely be opening for them…but in this scenario they would be our chosen openers.